In the first episode, we discussed the lasting cultural relevance of the film Easy Rider (1969, dir. Dennis Hopper). 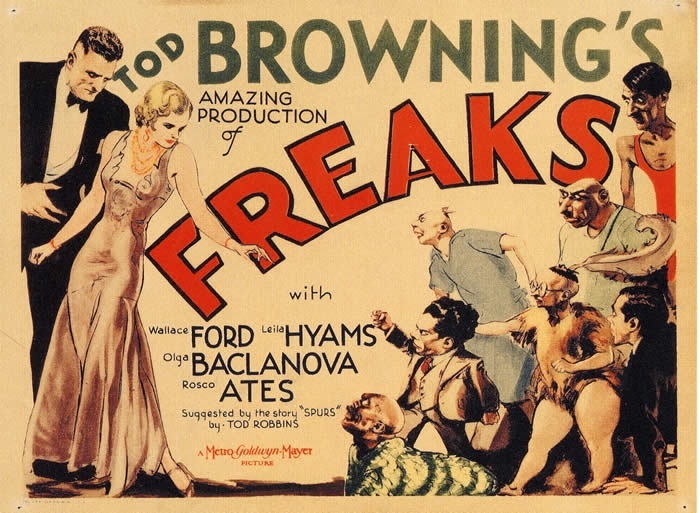 In this second episode, young scholar Clelia Sweeney of DePaul University joins us to discuss the counterculture cult classic Freaks (1932, dir. Tod Browning). Clelia brings to bear her research on freak shows, reality TV, and serial killers as the discussion considers humanity’s enduring fascination with the abnormal. We’re always looking for ideas for new episodes, and for guests who can come on and chat about the media with us. Therefore, if you have any ideas for future topics and/or guests, or would even like to talk about some aspect of popular culture with us, please let us know! Anyway, we hope you enjoy the second episode of The Pop Culture Lens, and, as always, thanks for reading (or listening, in this case).